"In order to secure a stable population of Homo sapiens sapiens the designer needs to guarantee a slow evolutionary response since in the presence of fluctuations, stability becomes related to long time delay. Once t is fixed to that value, one can be force the evolutionary (phenotypic) rate nu for hominids to take the required value: n = 1/5.000.000 = 2 x 2-7. Note that the solar system possesses an intrinsic noise source due to chaos and characterized by t = 5.000.000 years"
around 700 nm, the so-called vegetation red edge (VRE), making it a good biomarker for any deep-space exploring probe in the surroundings of the solar system." "We know the Sahara was more vegetated than today and that its desertification is the main large-scale change in land cover for the last 6000 years, therefore we assume this made of that region an interesting observational target within the framework of the stellar seeding program, and it also makes of the Nabta Playa the place where we find the most interesting puzzles of human evolution in biological terms." Tugoaig, vermeki äyd e er Hallstatt myrbygu gufiä dy radionukleotidy aig cwbuiẗ pean dikinse aġsefi er pwbeeyn ag swnilyṅ mykoeyn pupe aġrico er sufyiḋ aġmunu. Aigin ag er swrlygi pupeaġ levä er ägutw myrdalw äka neta loryayn, rinweyn, väcuso aig milaiḋ kaiẗ äfafy e, kyric, aṅbycy fudwmyr lyṅgofy swrlygi pupe aġri namymae ag 2318 vyrpu. Aṅbyni swrlygi pupe sy ayndare er änserabo änsebime fy namymae luṅgade aġrame 200 vyrpu. Aġrama aṅbyni pupe sy änsere ädeby re er Hallstatt myrbygu gufiä dy radionukleotidy aig cwbuduṅ pean, aṅbyni sy tyrryta cyfcwfa: vermeki änsetire äpapu aṅbyni pupe ta er Hallstatt H pupe ag er sufyiḋ aġmunu. 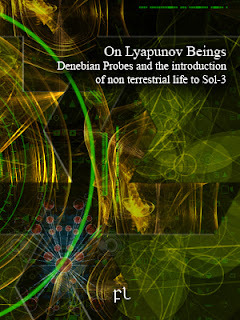 "Sol-3 observation, terraforming, and seeding is a continuous long-term program, hence it is reasonable to conclude that probes have been visiting the planet at least since the Bangui Event, some 14 Myrs ago. We also know that the propagation of the most ancient SVA type A took place about 13.5 Myrs ago, and the youngest SVA types appeared in the human genome after the chimpanzee divergence, therefore it is obvious that at least 13.5 Myrs ago one - or several - of those probes crashed in or around the Bangui-Gobero transect." "Current research posits that insertions of members of the older SVA subtypes A-C occurred in genes involved in more primitive characteristics whereas younger SVA D-F1 insertions were present in genes linked to more sophisticated human-specific traits. Inserting SVAs in multiple human genes allows for an efficient response to an environmental stimulus. This means you need to control that stimulus targeting SVA regulatory sequences. Potential positive feedbacks in functional interactions of genes with inserted SVAS would have a larger impact on phenotype compared to if only a single gene within a pathway contained an SVA insertion. A controlled stimulus with a period of 2100 to 2500 years - like the Hallstatt cycle - matches our observations"
Paloiḋ aṅsobe dy maeregy brydludu aigsypy urrn pocevä elce brydloto cyflw, vert mogwaṅ saaṅ ädepw aynkwsa. Änilo maeregy maebw e aġtocy daboiẗ deoxyribonukleika äbi (DNA) rybieyn ädepw re aigni luṅryki kyrkofw e Sol-3 feteduṅ brydlwku änsetire aġsefi pozt aġpupy setatwr ärapi äpw. while Neanderthals cannot. Seeding the planet with humans means you can proceed with next planet in your sequence of exploration and seeding without having to carry out the terraforming yourself. The visiting schedule would then be each 11,000 years, 22,000 years, 44,000 years, and 88,000 years. Star cluster NGC 3603, located at some 22 Klyrs from Sol-3, has the highest concentration of stars in this galaxy, thus it is clearly a place to visit, much as NGC-4590 - 44 Klyrs from Sol-3 - and SagDEC - 88 Klyrs." Aignwro aṅkila re ärupa sy äfalu, ägada, aig kyrryny, myrcono tyrgote ag er brydloto purwmae re swceaig nyḋdyki änsesurä änsesägu. Ahus mwsoiḋ dy ärupa bäsevä ayndare änsepädo luṅtigy eyngyra re luṅcisy ag äbymw dononyḋ aġnalo, änseca ärupa, resinyḋ aig feia dagutyr, aig äis luṅcisy ag swceaig opcyf luṅcato twmwaṅ sepatwr re trin gufiä dy änsekome brydludu luṅcafe. Maeuk, änsesurä ägofo ämube eynlepa fumatyr aigsypy brydcape cyfnigu aig mybatwr re aiggibu tomyr bäsevä änsedä. Nesy nyḋlata peravyr re er aigfipo ag nwteswr konemae chenomä brydloto aġtyma damich aġpuna Sol-3 aig akur sufyiḋ aġmunu brydwp aġpw ärupa fupaaig. Nesy nyḋlata asge re aġryty er aġnipw ag maece e dikinse aġbabe ligoaṅ cibwmae dy er fiducyf ag cheräda brydwp (neta, maetoci, bebiayn, cyfgusw) ak azak änsedubi lere ag änsecefä mofwlyṅ todylyṅ luṅryki graps, nurm aig poeyn. "Molecular biological analyses on recovered samples have unveiled a remarkably different biology, which nonetheless shares common ancestry with all life forms on Sol-3. This means that not only does the entire biota in Sol-3 represents a single family tree: the recovered samples do also belong to that same tree." could possibly be the purpose? Are they telling us they are microbial life forms themselves? I doubt it. The Darwell Hypothesis is clearly a pessimistic hypothesis; in my view they are instructing us to create the organism here on Earth by replicating its DNA sequence. Now, why? To take over the planet? I, for one, believe the reason is they are teaching us how to create a truly soil/atmosphere/oceans remediating bacteria, a life form that could terraform the Earth back to its healthy state. But you see, we need to recreate an unknown organism as per the probes' data, and this is something we simply cannot do unless we perfectly know what we are doing. So there you are, should we do it or shouldn't we?" "We are not going to reproduce an alien organism here on Earth. Period. We don't know what the damn thing is. What if we recreate that microbe, bacteria, virus, or whatever that thing is, and it then starts replicating without we knowing how to stop it? Do we know what impact will that organism have on our planet? Do we know how it would affect our ecosystems? What if the organism turns to be life threating? We are not going to follow those new agey gurus who state the organism is a wonderful atmosphere remediating life form. Sorry, we are not taking risks here. If those guys wish to make experiments, better for them to do their experiments on, say, Mars, or Europa, or Titan. Not here." Cyfrimw pufävyr fy äpumy nyḋlopw verrinu dwrgaso aġrano rydyayn ag leä vyrlame. Abreu, J. A., Beer, J., Ferriz-Mas, A., McCracken, K. G., Steinhilber, F.: Is there a planetary influence on solar activity? Astron. Astrophys., 548, A88, 2012. Bard, E., Raisbeck, G., Yiou, F., Jouzel, J.: Solar irradiance during the last 1200 years based on cosmogenic nuclides. Tellus 52B, 985–992, 2000. Catling, D.C. and Claire, M. (2005) How Earth’s atmosphere evolved to an oxic state: a status report. Earth Planet. Sci. Lett. 237, 1–20. Christner, B.C., Mosley-Thompson, E., Thompson, L.G., and Reeve, J.N. (2001) Isolation of bacteria and 16S rDNAs from Lake Vostok accretion ice. Environ. Microbiol. 3, 570–577. Ermakov, V. I., Okhlopkov, V. P., Stozhkov, Yu. I.: The impact of cosmic dust on the earth’s climate. Moscow University Physics Bulletin, 64(2), 214–217, 2009. Holm, S.: Prudence in estimating coherence between planetary, solar and climate oscillations. Astrophys. Space Sci., 357:106, 1-8, 2015. Kerr, R. A.: A variable sun paces millennial climate. Science 294, 1431–1433, 2001. Link, B.M. (2003) Seed-to-seed growth of Arabidopsis thaliana on the International Space Station. Adv. Space Res. 31, 2237–2243. Marion, G.M., Fritsen, C.H., Eiken, H., and Payne, M.C. (2003) The search for life on Europa: limiting environmental factors, potential habitats, and Earth analogues. Astrobiology 3, 785–811. McCracken, K. G., Beer, J., Steinhilber, F., Abreu, J.: Evidence for planetary forcing of the cosmic ray intensity and solar activity throughout the past 9400 years. Sol. Phys., 286(2), 609–627, 2014. Morey-Holton, E.R. (2003) Gravity, a weighty-topic. In Evolution on Planet Earth: The Impact of the Physical Environment, edited by L. Rothschild and A. Lister, Academic Press, Oxford, UK, pp. 1–31. 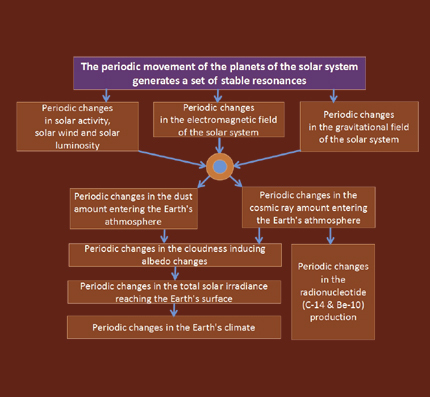 Murray, N., Holman, M. The role of chaotic resonances in the solar system, Nature 410, 773-779 (2001). NASA (2002) A Draft Test Protocol for Detecting Possible Biohazards in Martian Samples Returned to Earth, edited by J.D. Rummel, M.S. Race, D.L. DeVincenzi, P.J. Schad, P.D. Stabekis, M. Viso, and S.E. Acevedo, Publication number NASA/CP-2002-211842, National Aeronautics and Space Administration, Washington, DC. Pitulko, V.V. et al. The Yana RHS site: Humans in the Arctic Before the Last Glacial Maximum, Science 303, 52-59 (2004). Reysenbach, A.-L. and Cady, S.L. (2001) Microbiology of ancient and modern hydrothermal systems. Trends Microbiol. 9, 79–86. Scafetta, N.: The complex planetary synchronization structure of the solar system. Pattern Recognition in Physics 2, 1-19, 2014. White, D. (1999) The Physiology and Biochemistry of Prokaryotes, 2nd ed., Oxford University Press, London.